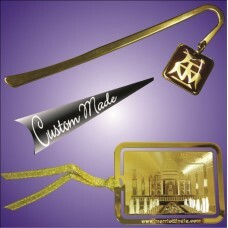 Send us an email to [email protected] for a free consultation on custom made gifts. 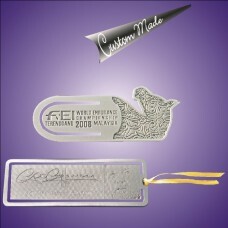 Made ..
Made of 0.4mm brass using unique etch through technique, available in Gold Plated or Silver pl..
Bookmark was made by non-tarnish pewter material and in natural pewter finishing. 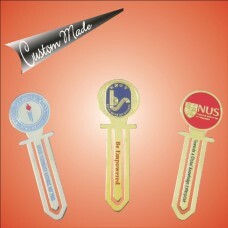 Design can be cust.. 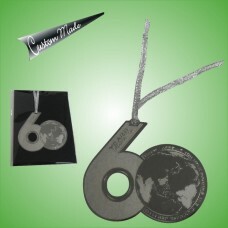 The metal bookmark was crafted with personalise texts in the middle of the stem and charm could be c..
NIckel-Silver plated metal bookmarks with mini charm. 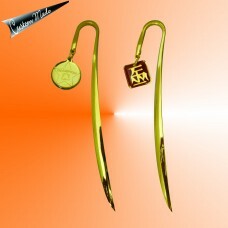 Charm could be custom made according to your d..
Golden metal bookmarks with mini charm. 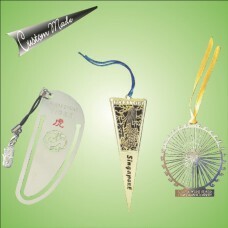 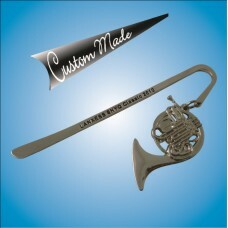 Charm could be custom made according to your design.Send us ..